This website is dedicated to the easy to use, free, lightweight, and versatile word processor; Hertzer Tec Jot. Jot is designed for quick and easy access. It is specifically designed for people who need to just write something down quickly. Quick launch time, no clunky interfaces. 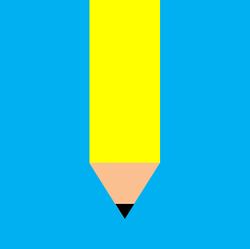 Jot is the one of the only rich text editors that do not have any visible commands. 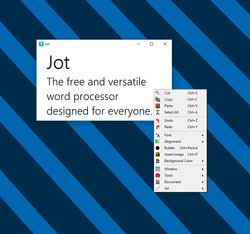 All you have to do is right click anywhere in the Jot window. There, a simple and deeply thought out menu system is just a simple click away. Click below to learn more about all of the wonderful uses and functions of Jot. Join over 7000 users of Hertzer Tec Jot now!